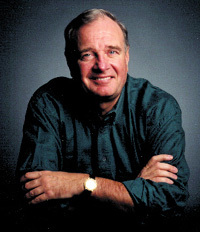 Paul Martin, minister of finance. During a hot week in July 1998 the plunging Canadian dollar hit an all-time low of US $ .6698 because of the currency speculators. The Liberals reacted by announcing they would spend $46.8 million to hunt Nazi war criminals -- all old guys in their 80s and 90s from a war most Canadians can't remember. Nothing much has changed in Ottawa since then except that the Liberals got reelected for another 4 years and the $C took its usual annual 2-cent dip. The Liberals appear to have a few blind spots -- the value of $C, the national debt of $600 billion, extraordinary high Canadian taxes, the brain drain and their HRDC give-away-billions of taxpayers money -- mostly to fellow Liberals. A third of all Canadian taxes go to pay the interest on this national debt -- not a penny off the principal. In the socialized tax-and-spend world of the Liberals, this is normal. Canadas productivity, competitiveness, extraordinary high taxes and the value of $C is the last thing on their minds as CIDA searches the world for more refugees and more international socialist programs. They feel that they have an obligation to the poor and destitute of the world and the Liberals should be judged by their good intentions at the UN, not the value of $C, not the extremely high taxes that Canadians have to endure and not the brain drain to the U.S. They would rather let the $C depreciate. It means nothing. The Canadian dollar is 100% Canadian. It is the Americans who should be blamed for allowing the US dollar to go so high. Blame the Americans. And the Liberals have just been reelected so they can do no wrong. About this time last year Gordon Thiessen, the then governor of the Bank of Canada, gave a speech at the Canadian Club luncheon and Finance Minister Paul Martin said the same thing, that he has no interest in merging Canada's loonie with the U.S. greenback to create a common currency. It sounds like these two were singing from the same hymnbook. It sounds like the Canadian peso could dive to 20 cents and they would hang true to the bitter end. Because they believe they are omnipotent. Socialists are like that. They believe they can do no wrong. The communists, in their heyday, were also like that. There is no need for a common currency if the Liberals accept a fixed rate of exchange. But this might force them to curtail their tax-and-spend Liberal policies, their HRDC giveaways and their international giveaways through CIDA. It might even force them to look at the books and the $600 billion national debt. Therefore the Liberals will always refuse any link between the $C and $U.S. Eleven European countries adapted a common currency called the euro on advice from (Canadian) Robert Mundell. Currency speculators cannot now play the French frank against the German mark or any of the other 11 European currencies. The currency speculators have avoided the euro since it was adapted. Robert Mundell got the Noble Prize for his assistance and advice. Ottawa refused this advice. But the currency speculators with their huge hedge funds are still watching the Canadian dollar. They can and will play with the smaller currencies such as the Canadian dollar when the opportunity presents itself. They will eventually interfere with $C again because of our national debt of $600 billion, our over bloated bureaucracies, our tax-and-spend policies and our headstrong politicians who want to right all the wrongs in the world and be judged for their good intentions. Ottawa politicians seem to exist in an isolated dream world as if Quebec separatism had vanished; the Clarity Act and Bouchards resignation had solved all unity problems and western alienation would be eliminated by tough love. Do you know where your Liberal MP is today?